Migrants: arrivals were halved during the month of July and were strongly resized in the month of August. 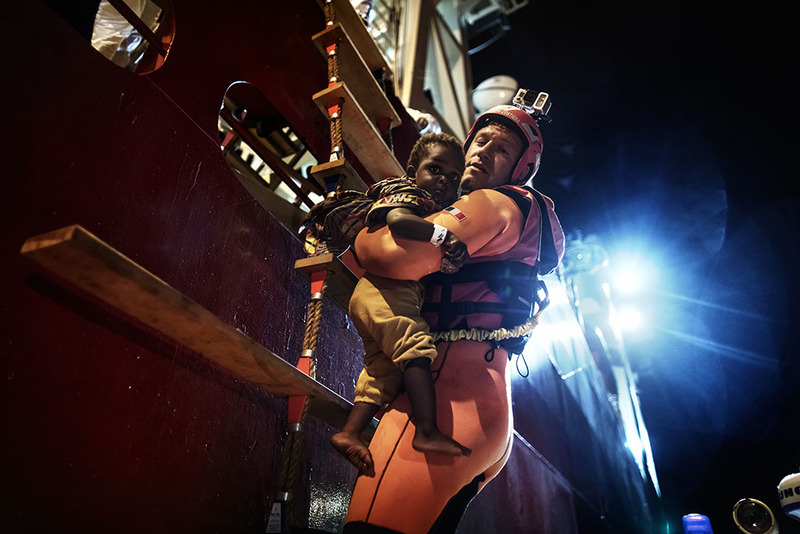 The photographer Luca Catalano Gonzaga was aboard the Italian Coast Guard ship ‘Luigi Dattilo’ between the 10th and 25th July to report the migrant rescue activities along the Lybian coasts. 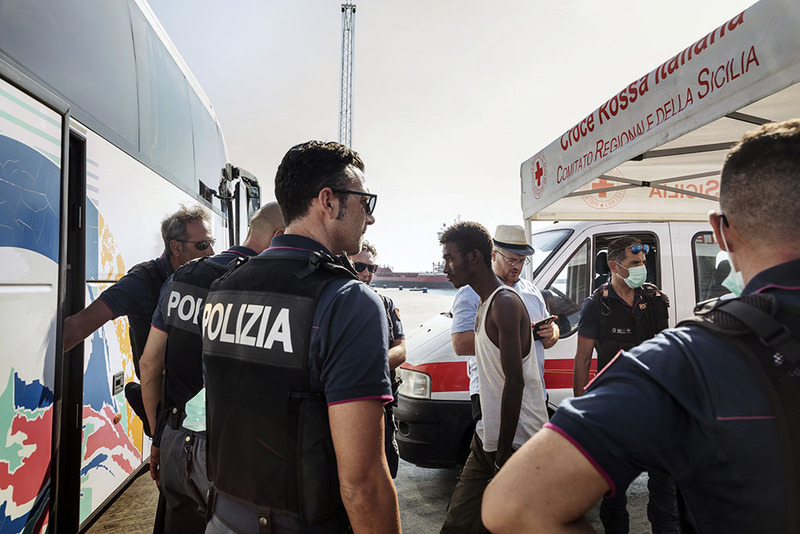 During the whole period of his stay, only one recovery of 99 migrants was registrated. 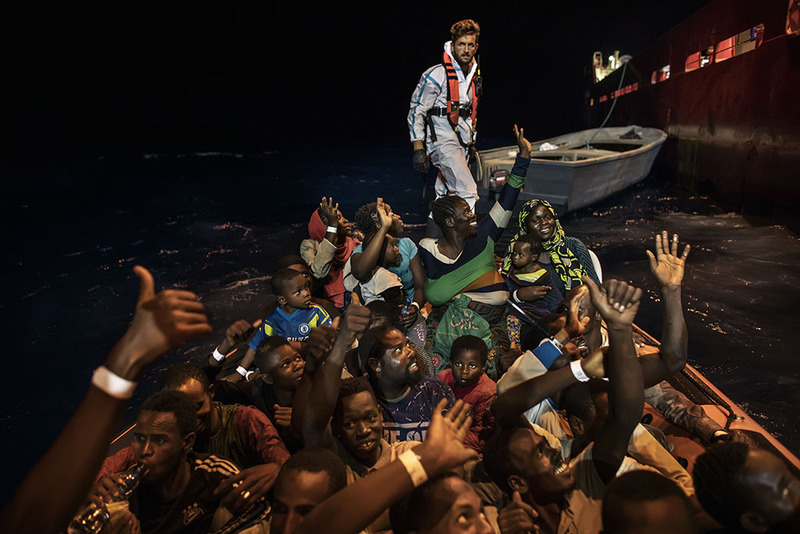 They were coming from Sabratha crammed in a boat. 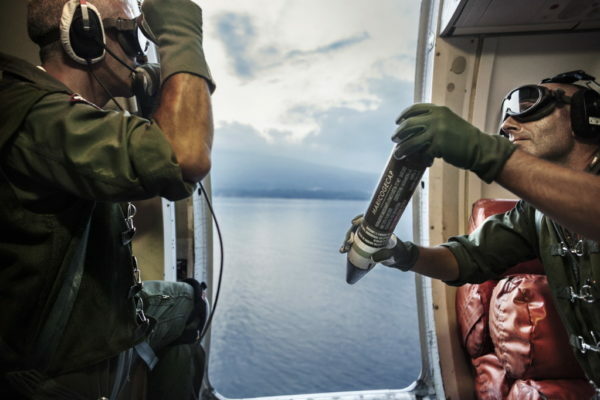 The technical logistic support guaranteed by Italy to the Lybian Coast Guard, the come into forse of the Conduct Code of the ships belonging to the non-governmental organizations, and the blocking of the course to Lybia through Niger, determined the total arrest of the migration flow in the Mediterranean Sea. 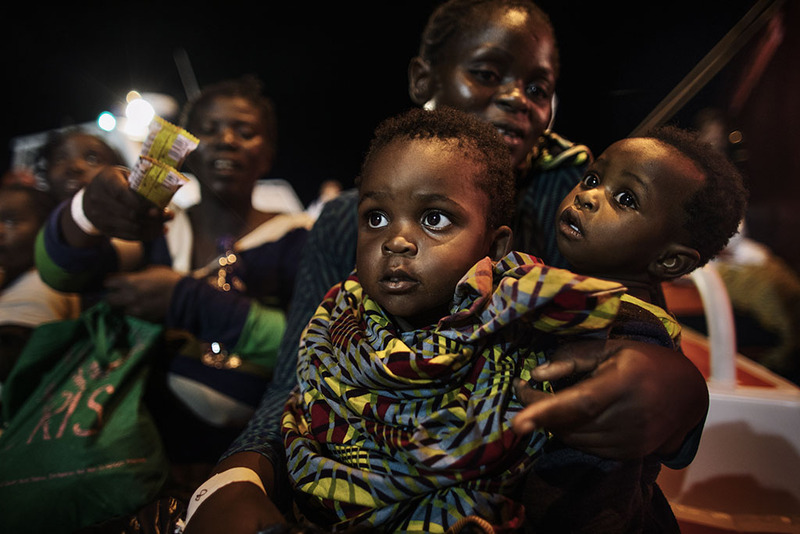 But in the meantime what destiny will be faced by the migrants that found a barred road, forcing them to stay in Lybia? 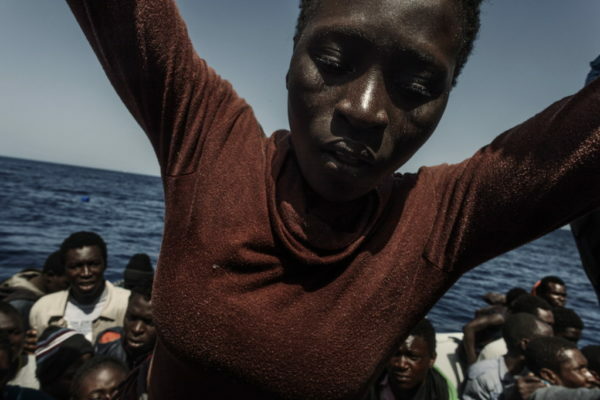 What is the real price to pay to ensure a pleasant summer on the Italian shores if one looks at the suffering and violated human rights? (Text by Sebastiano Caputo). Mediterranean Sea, Italy. 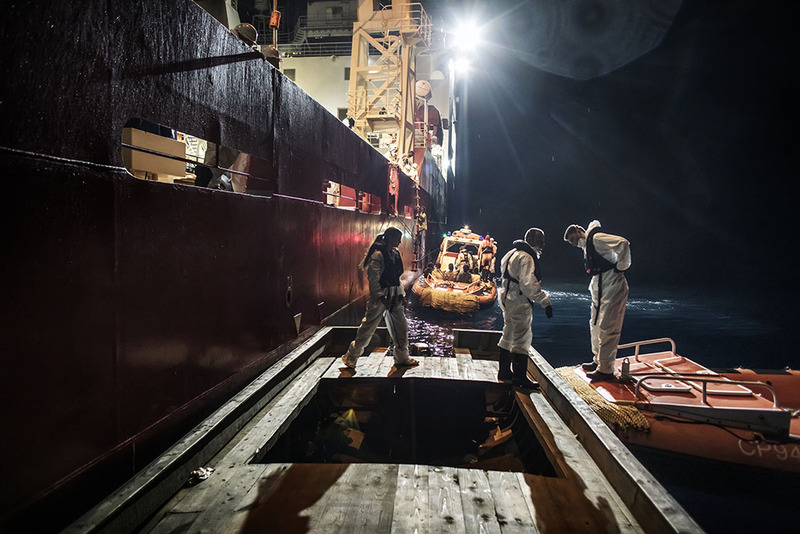 Transfer phases of migrants from the merchant vessel Siem Barracuda. Mediterranean Sea, Italy. 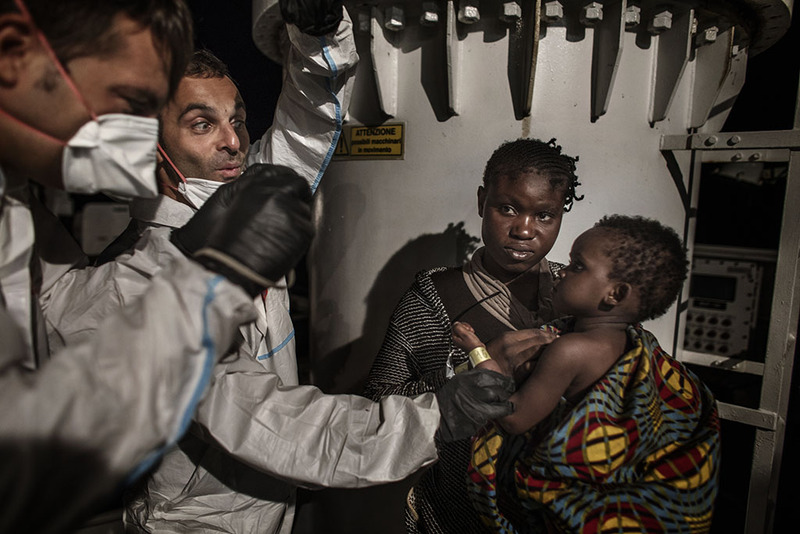 A rescue swimmer, as he transfers 3 year old Warisa, from Nigeria, from the merchant vessel Siem Barracuda to the RIB of the Italian Coast Guard. Mediterranean Sea, Italy. 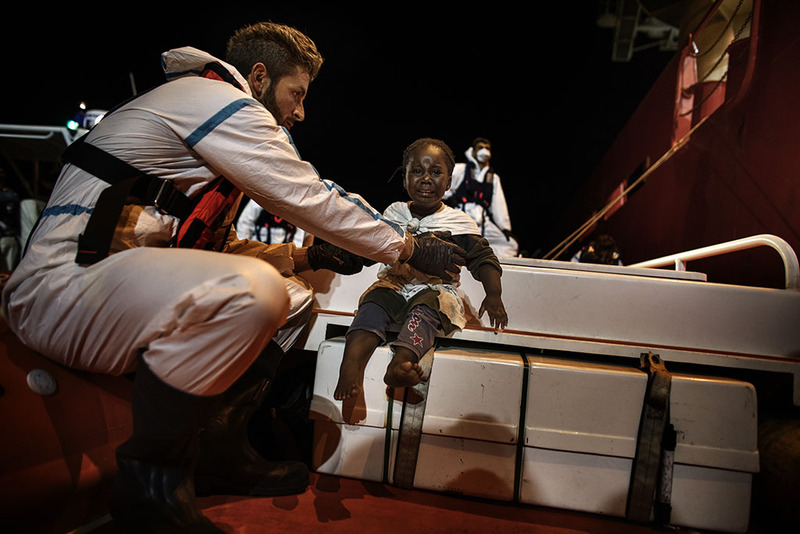 Fatimoh, 2 years old, Nigerian, being rescued, along with other 98 people, by the Italian Coast Guard, after 29 hours navigation in the Mediterranean Sea. Mediterranean Sea, Italy. 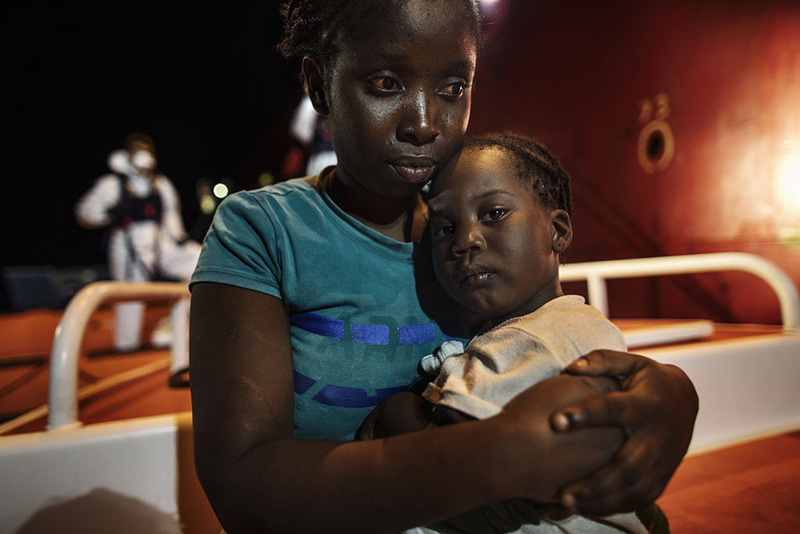 Kudirt and her daughter Warisa, while being photographed for identification procedure aboard the ship “Luigi Dattilo” of the Italian Coast Guard. Mediterranean Sea, Italy. 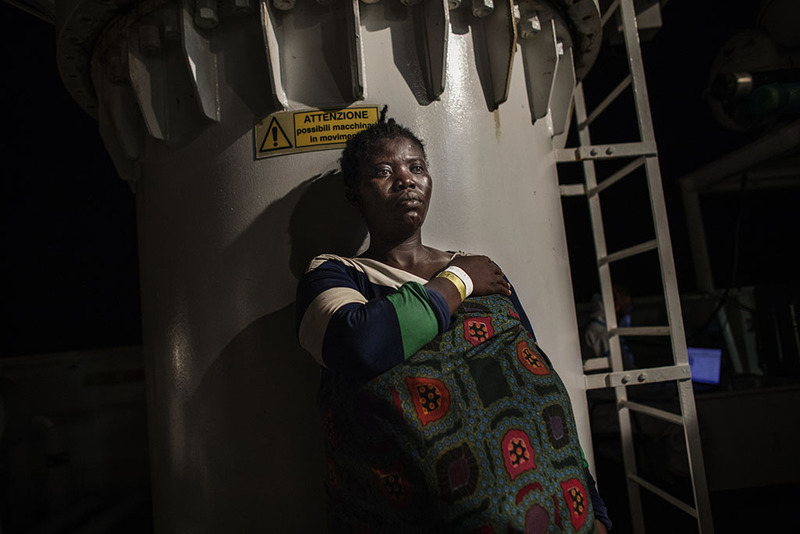 Halimat, 35 year old woman from Nigeria and 9 months pregnant, whilst being photographed for identification procedure aboard the ship “Luigi Dattilo” of the Italian Coast Guard. Mediterranean Sea, Italy. 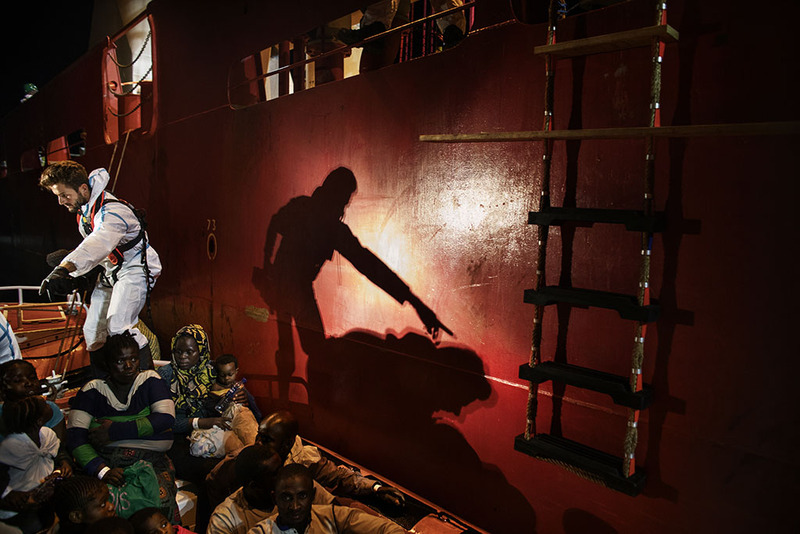 A suspected trafficker, from South Sudan, is transhipped for an identification procedure by the Police Headquarters in Porto Empedocle. Mediterranean Sea, Italy. 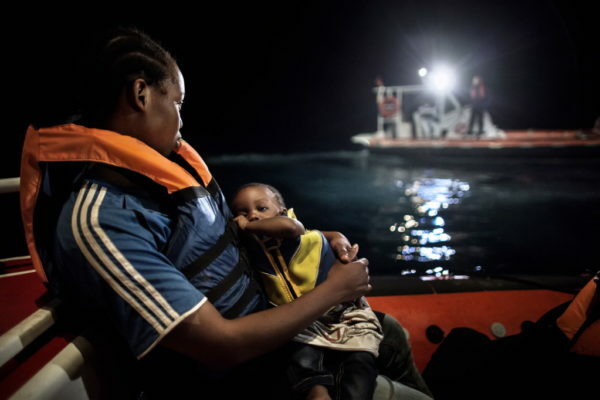 Kudirt, 29 year old woman from Nigeria, mother of Warisi (4 years old) and Warisa (2 years old), now safe on the RIB of the Italian Coast Guard, after 29 hours navigating in the Mediterranean Sea. Mediterranean Sea, Italy. 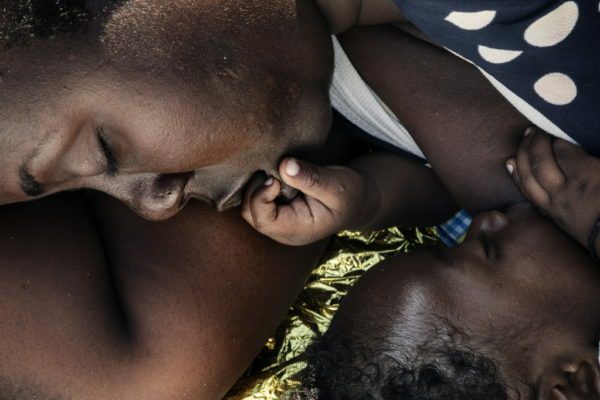 Fatimoh, 2 years old, Nigerian, is now safe in the arms of his aunt Oyeyemi. Mediterranean Sea, Italy. 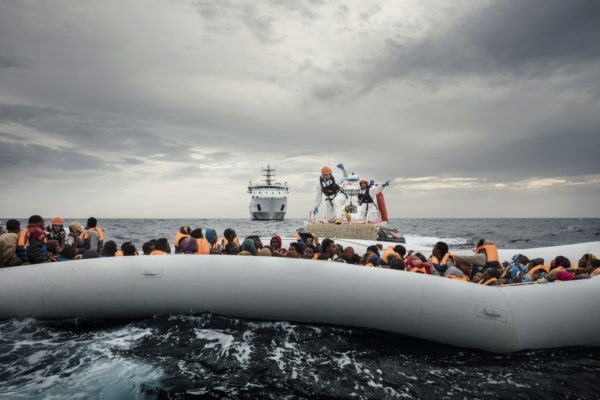 The now empty small boat, being inspected by the Italian Coast Guard appointed crew staff, looking to find useful objects for police investigations such as satellite phones, used by traffickers to perform the emergency call. Mediterranean Sea, Italy. 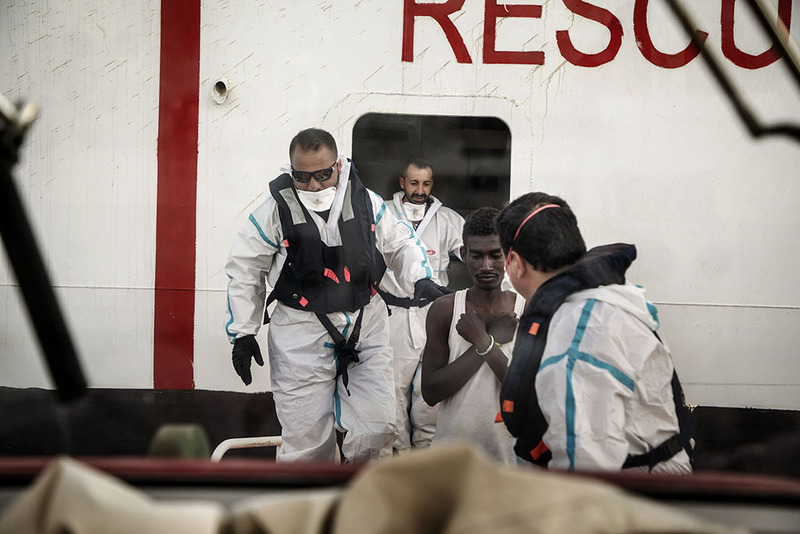 99 migrants, now finally safe, greet and thank the crew of the merchant vessel Siem Barracuda, who rescued them initially at 2 am in the morning, 55 miles away from Lybian coasts, north of Sabratha .